We are putting forth our customer a great quality scope of Hand maded Metal Ceramic Hook. Our reach is very solid and strong and is made under unique direction for master group of specialists. It is offered in mixed bag of plans, shapes and sizes. We offer our reach at business driving costs. 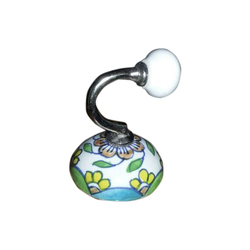 ffering high quality ceramic flower hook at very competitive prices. 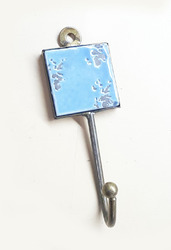 We have vast range ceramic hook.The ceramic hook are made from high quality Ceramic iron for last lasting duarability. Which are very low on cost as well.